Twitter is useful for all sorts of things: keeping up to date with current affairs, entertaining yourself with hilar viral videos, and communicating with friends purely by sending cute dog pictures. I mean, can you think of a better communication method? I think not. A quick scroll through the timeline on a Monday morning is enough to brighten anyone’s day, particularly if there’s been an abundance of adorable pups that weekend (if you ignore all the Brexit content, that is). Now though, the social media platform has come in handy for another, slightly more useful reason as one comparison photo has led many to diagnose themselves with an eye condition. The photo, posted last week by Twitter account @UnusualFacts6, showed the difference between what people with astigmatism see vs what people without the condition see. 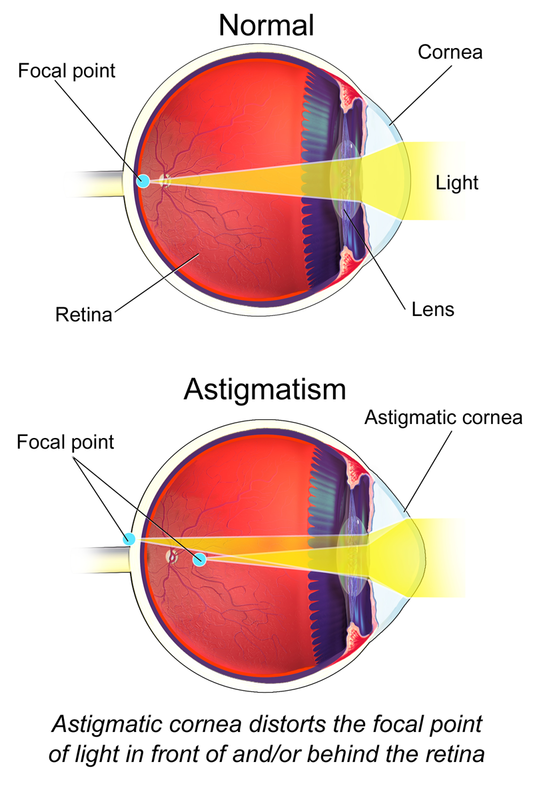 Astigmatism is a common cause of blurry vision that can affect one or both eyes and is usually corrected with glasses or contact lenses. This can cause blurred, vision, headaches, and eye strain – which may be noticeable after a long period of concentration, for example if you’ve been on a computer for a long time. 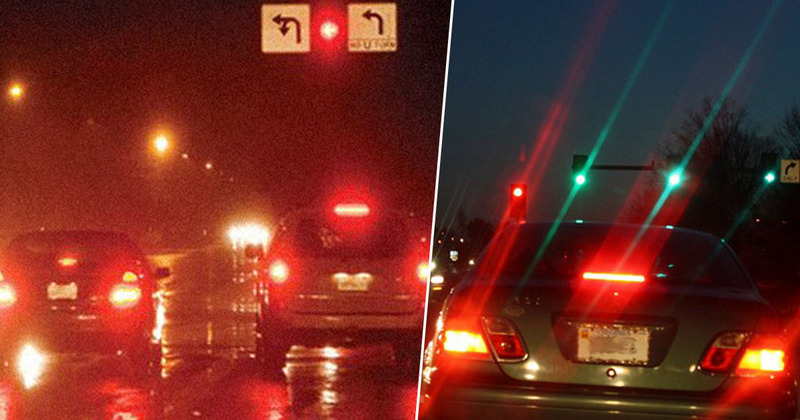 The first comparison picture posted by the Twitter account shows what people with astigmatism see, with the car headlights spreading out into a thin line. The other picture shows the headlights focused in one specific place. The picture went viral almost immediately, with many people commenting that they didn’t even realise astigmatism was a thing and diagnosing themselves with the condition. The picture, which now has more than 53K likes and 22K retweets, attracted the attention of many who believed themselves to have the condition. One person said they were having an ‘existential crisis’ as a result of the tweet, while another said they thought everyone saw the lines and it was just the way light appeared. I’ll be honest with you, I’m starting to question whether I have astigmatism now because I’m almost certain that’s how I see car headlights too. So thanks random Twitter account for making me realise I have something I didn’t even know existed prior to today.